Cleveland Fire Damage Restoration is one of the best fire and water damage restoration service providers in Cleveland, Ohio that specializes in a variety of home restoration flood fire water damage services, like water extraction, damaged furnishings and floors, dehumidification, cleaning up fire and smoke damage and thermal fogging. 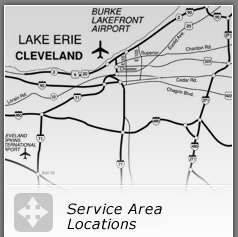 We have been serving the neighborhood and surrounding areas of Cleveland OH like Lakewood, Cleveland Heights, Parma, Rocky River, Euclid, Brunswick, and Medina for many years now. Cleveland Fire Damage Restoration is known for our proficient fire damage restoration procedures: refinishing; restoration; remediation; repair, water fire damage restoration, fire and flood damage restoration and wall and ceiling cleaning with a 24/7response time - same day service. We provide immediate responsive action, knowledge, experience, reliability, professional staff and excellent customer service. We also specialize in recovering and restoration of carpets, smoke damage walls, fire damaged upholstery and other personal property during an accident. In most cases, the restoration of contents can be less expensive than replacing them from scratch. Our Cleveland, Ohio smoke damage cleaners have a great history of dealing with Cleveland's major insurance companies during unfortunate natural disasters. We have years of experience in residential fire damage, flood damage, water damage and smoke damage repair during any disaster relief occurrences. Due to the reaction speed of Cleveland Carpet Cleaning service during a fire, customers depend on us to fit all of their cleaning needs. No one plans for a fire. It just happens. We will handle everything in a professional manner and provide coherent fire damage assessment. Our team will also provide fire damage repair to help you to clean up the mess instead of having you do it yourself in such a hazardous situation. We provide expert fire damage clean up services in home restoration, smoke damage removal, soot damage clean-up, furniture restoration, carpet repair, rug cleaning and odor removal. We offer immediate 24/7 emergency services - response for wet carpet drying in the case of the water damage caused by the fire truck restoration effort put in by the fire fighters on the scene. Cleveland's fire damage restoration work begins right away to save as many things as possible. Our restoration professionals are equipped to handle any type of fire and water damage restoration scenarios. At Cleveland Carpet Cleaning, we understand the need to retrieve the most important personal property that means a lot to you. This fire and water restoration service providers uses modern restoration equipment that can remove smoke and airborne odor particles by deodorization, structural drying and environment friendly carpet cleaning (green clean) methods that are effective and safe. Our employs proven techniques that work to bring personal items back to life: water removal, mold remediation, upholstery cleaning, household textiles and carpet drying, air duct cleaning, soot removal and window cleaning. We are also able to deal with wall & ceiling cleaning, utilizing safe methods that will control allergies & asthma. 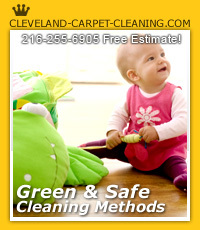 Cleveland Carpet Cleaning takes pride in offering its customers free estimate, coupons, 100% satisfaction guarantee, free pick-up and delivery of rugs, and 24/7 emergency services. We accept - Visa, MasterCard, American Express, Discover Payment Options and extend an invitation to our customers to call us about possible additional payment options.